These offers are free with the purchase of the Firefox Diablo 14 Bicycle. 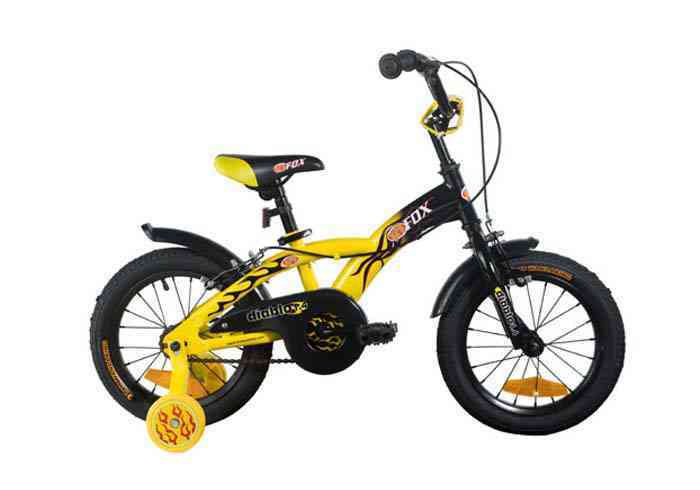 The Firefox Diablo 14 (2016) is trendy BMX styled bicycle for kids. The bicycle comes with a sturdy rigid steel frame, along with side trainer wheels for added support for beginners. The Price of the Firefox Diablo 14 is Rs.5700. The Firefox Diablo 14 (2016) is an ideal beginner,learner bicycle for young children aged between 3 and 4 years. 2. In what condition will I get the Firefox Diablo 14? 6. How will I know if Firefox Diablo 14 will fit me without riding it? 7. How long will it take for me to receive the Firefox Diablo 14?